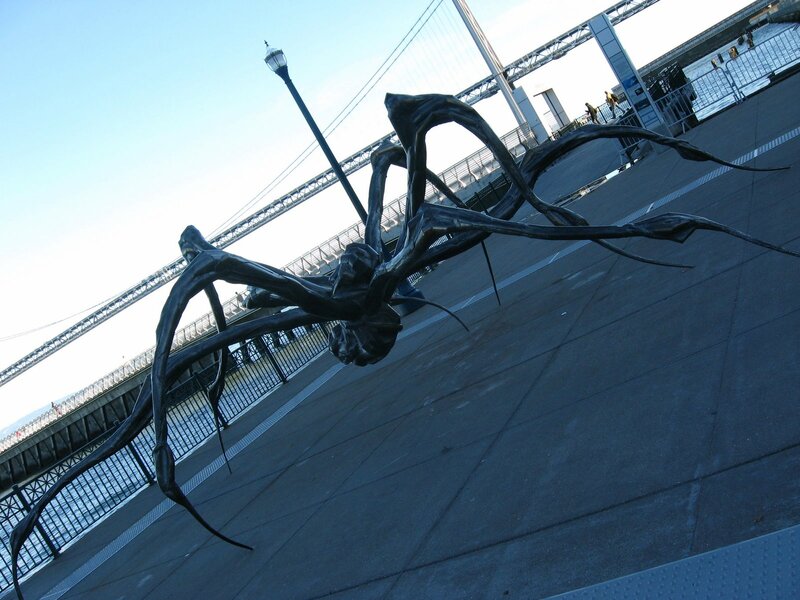 Louise Bourgeois' Crouching Spider was put in place on the Embarcadero last month. I haven't had a chance to stop by and take a photograph but see it from the car window on my way home from out of town and pass it some times when my camera's not at hand. What a lovely and intense piece. Liked the angle of his shot. I'll replace this photo with one of my own when I can. Away, back, and what we did there.